Gamification used to be the trendy buzzword couple of years back. Although industry hot shots are not raving about it anymore, the main idea makes still perfect sense. Gamification is making boring tasks fun, rewarding and immersive (not necessarily even game-like i.e. frequent flier programs). My main concern when selecting budget airline is price, price and price. 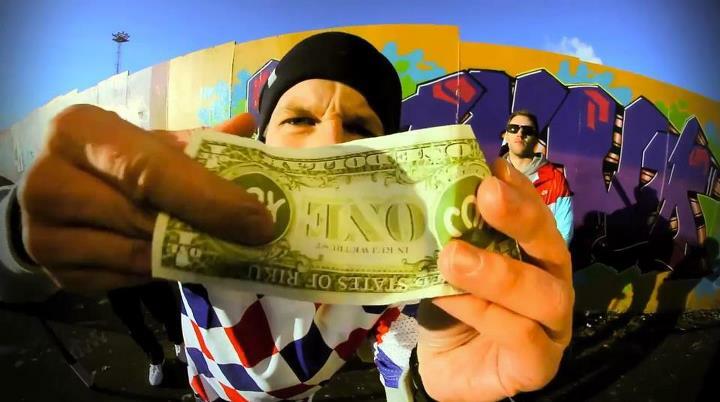 I would never book so calle ScootBiz in normal circumstances as my mindset is minimizing the investment. 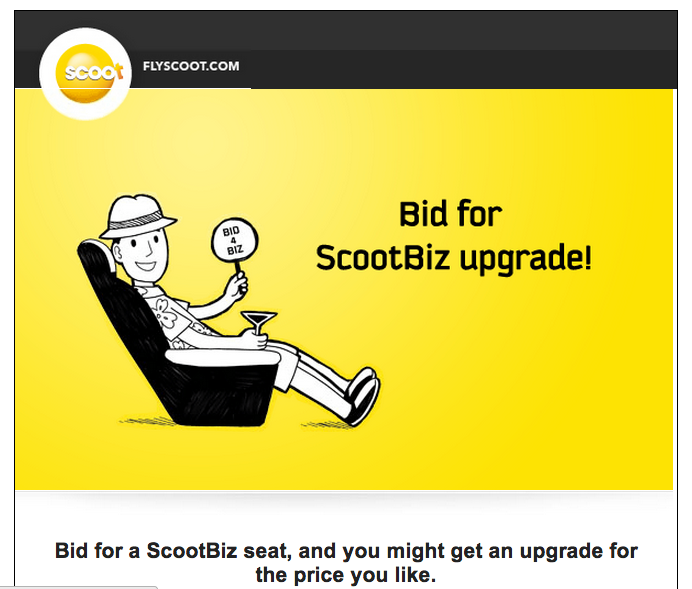 However, given the opportunity to bid on those Scootbiz seats, it felt different case. The price for economy class was already sunken cost, so I evaluated the opportunity to “win” those seats in new light. Bidding is an attention grabbing, active and addictive way to get people to spend more. It is likely that bidding also makes you spend more than you had thought, because it feels “risk-free” investment. You set your own maximum, which you are willing to spend. What many people do not realize that every price you set is already in addition to what you were first willing to spend. They also show “the strength” of your bid, which naturally prompts you to bid higher. As you offer the bidding opportunity for those who have already booked their tickets you can wait to sell those seats until last minute. In best case scenario they might get even more money than normally. At its worse, they still get something. No matter what price Scoot gets from the bidding process, it is still better than no price at all. Simple ideas are always the strongest.